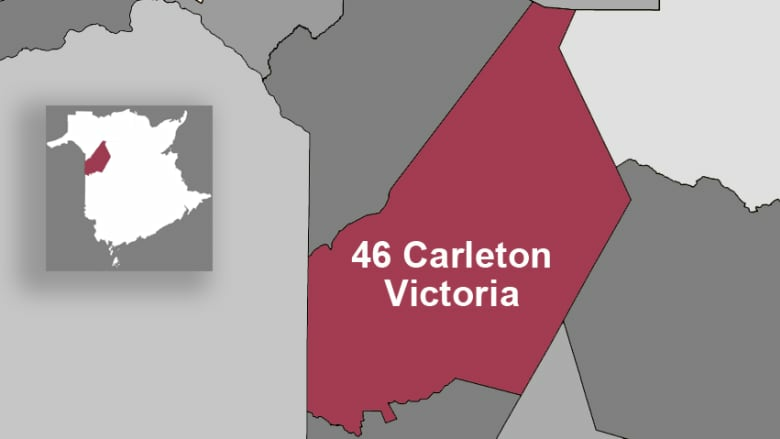 As Carleton-Victoria goes, so goes the province? If the Progressive Conservatives can’t overturn a narrow Liberal win in this Tory heartland, their path to a majority becomes difficult. 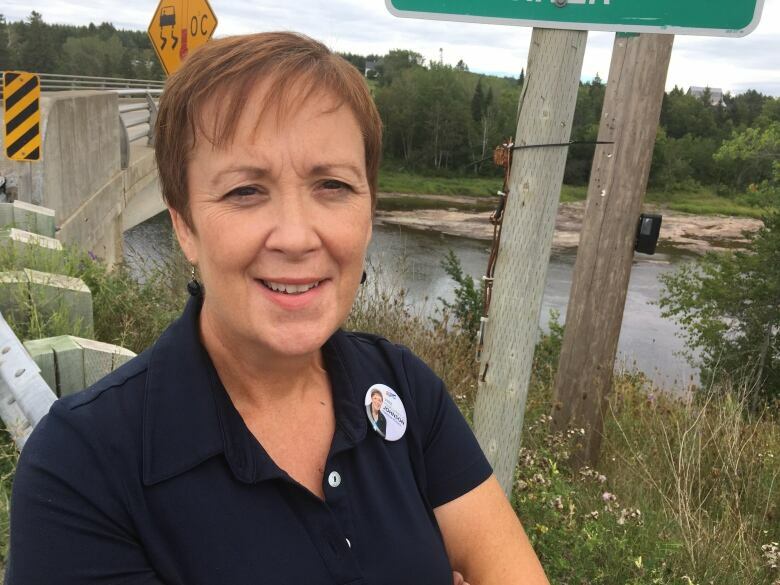 The rural northwestern New Brunswick riding includes the communities of Florenceville-Bristol, Perth-Andover and Tobique First Nation. Jim Pickett may be the ultimate political bellwether in Victoria County. Decades ago, he was one of the first Progressive Conservatives to call for a leadership review against then-Premier Richard Hatfield — a move that heralded Hatfield's crushing defeat two years later. 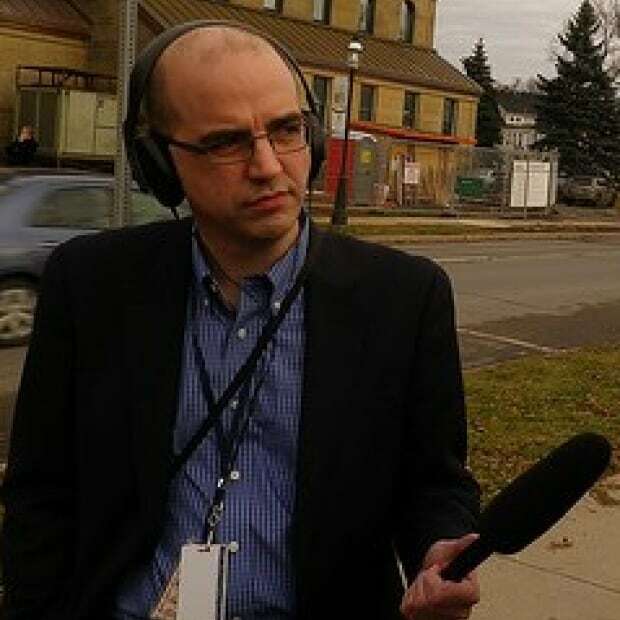 In the 2014 election, he rebelled again, joining other PC supporters in Perth-Andover to support Liberal candidate Andy Harvey. Harvey won the riding of Carleton-Victoria by 82 votes. This year? He's undecided — and unwilling to predict the outcome. "I can't tell you how it's going to end up on the 24th," he says from the armchair in his home near the Trans-Canada Highway. "It's going to be fascinating to see what the final vote is." Indeed, Carleton-Victoria is a prime target for the PCs if they have any hope of winning the election. If they can't overturn a narrow Liberal win in this Tory heartland, their path to a majority becomes difficult. Harvey won the seat in 2014, despite a topsy-turvy campaign in which fraud and forgery charges against him led to his temporary suspension from the Liberal team. Then, just 10 days before the election, the charges were abruptly dropped, and Harvey squeaked into office. Two things worked in his favour. 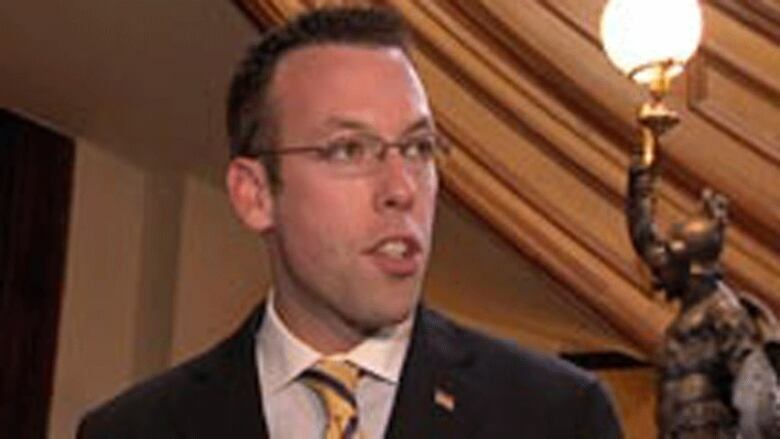 In the Perth-Andover area, PC supporters suspected their local MLA, incumbent Wes McLean, had been shoved aside as the candidate in favour of Dr. Colin Lockhart, a physician from Bath. As a result, "quite a few of us Tories" switched their support to Harvey, Pickett says. Lockhart also had baggage on health care. In Perth-Andover, people have long considered their small hospital, Hotel-Dieu of St. Joseph, to be under threat and in need of a vigilant defence. 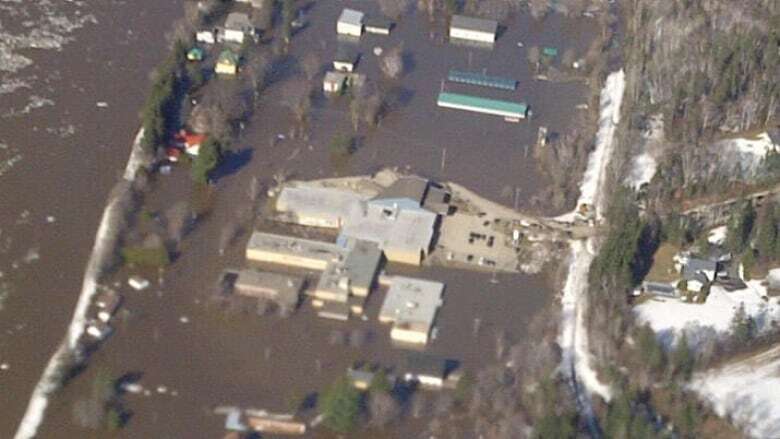 There were fears that flooding in 2012 would be used as a pretext to close it and centralize services in Waterville. 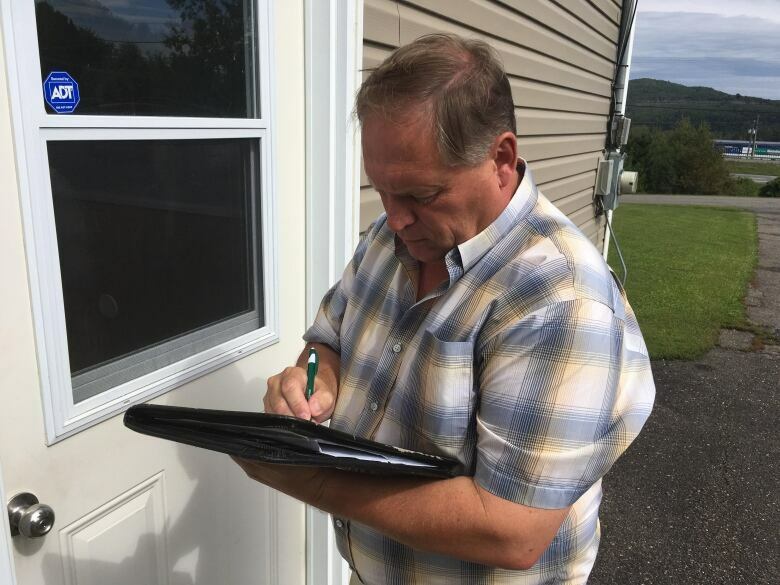 Because Lockhart had championed the Waterville hospital when it was built under Bernard Lord's PC government, voters in Victoria County worried he might not fight for the Perth-Andover facility. Four years after his narrow win, Harvey is now the incumbent with a record to defend. "Last time you were presenting your case: 'we should be doing this and this and this,'" Harvey said while knocking on doors on Till Road. Now "people are judging me and my team on my record locally, and our record provincially and what we've done." Voters here don't seem to be in a surly, anti-incumbent mood. "I think he's all right," resident Romeo Bellefleur says of Harvey while eating lunch at a local dairy bar. "Seems to be OK. Easy to talk and seems to be friendly. I don't see anything wrong with him." "I ain't had no trouble with him," adds Bellefleur's friend Allan Wright. And Jim Pickett and his fellow Harvey-supporting PC defectors? "I haven't talked to many of these people to see what's going to happen this year," he says. "I can tell you Margaret has been very, very active. But Andy has left his mark. He's put a lot of money into our hospital. He's put a lot of money in roads." Harvey has all the figures at hand: he says there's been $61 million in road projects in Carleton-Victoria since he was elected in 2014. The Liberal government has also spent almost $8 million on the Perth-Andover hospital. A section of the old building that was in the flood plain is being demolished, with services there shifted to a new addition. "That'll provide some certainty on that structure for the staff and the patients and the residents of the area," Harvey says. Meanwhile, near the Trans-Canada Highway, a new Ambulance New Brunswick bay and one of the province's retail cannabis stores are under construction. Even Harvey's main opponent, PC candidate Margaret Johnson, admits all that spending will probably turn some heads. But she says it's part of the problem she wants to solve. "Pavement gets people excited, and to do it now, before the election? I'm not that naive to think it's not a ploy to get votes. "And it does have an impact on the voter. People think, 'This is what I need. This is what I've been asking for.' But we've got to stop shaking the money tree. The leaves are gone." Johnson, a longtime PC supporter from Florenceville-Bristol, says she's thought about running for a long time and she's doing it this time because of the province's poor finances. But she is not taking for granted the long PC voting tradition in most parts of the riding. "I think it's probably going to be close again, but the response I'm getting is very good," she said. 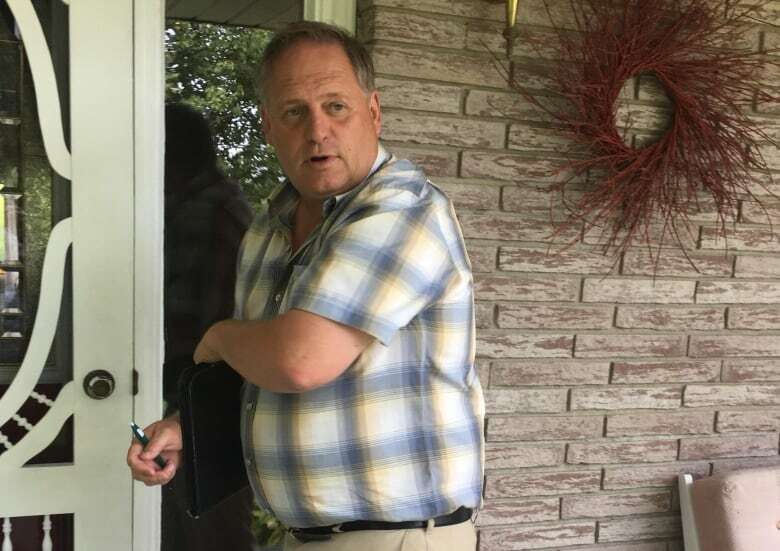 "People are ready for a change, and people appreciate that we can't run our households with deficit financing, so why should we run our province that way?" The Liberals have launched repeated attacks on PC Leader Blaine Higgs, accusing him of wanting to close small hospitals. Johnson says she's been assuring voters that's not true. "The Higgs team has absolutely no intention of closing hospitals or schools," she says. "There is no intent to that." Another challenge for the Tories is that the People's Alliance is running a candidate in the riding for the first time. The party wasn't on the ballot in 2014. But Johnson brushes off the possibility that Terry Sisson will take votes from her. She points out the NDP, Greens, and Keep It Simple Solutions party all have candidates in the riding as well. "Where are all these votes going to come from, and are they coming from the Tories or the Liberals?" However the race shakes out, it likely won't be as dramatic as the 2014 race, when Harvey's campaign was rocked by the fraud and forgery charges. The allegation was that Harvey, his brother David and their father Fred had forged paperwork to make it look like wood cut on Crown land came from private land. Reporters were tipped to the charges in the first week of September. 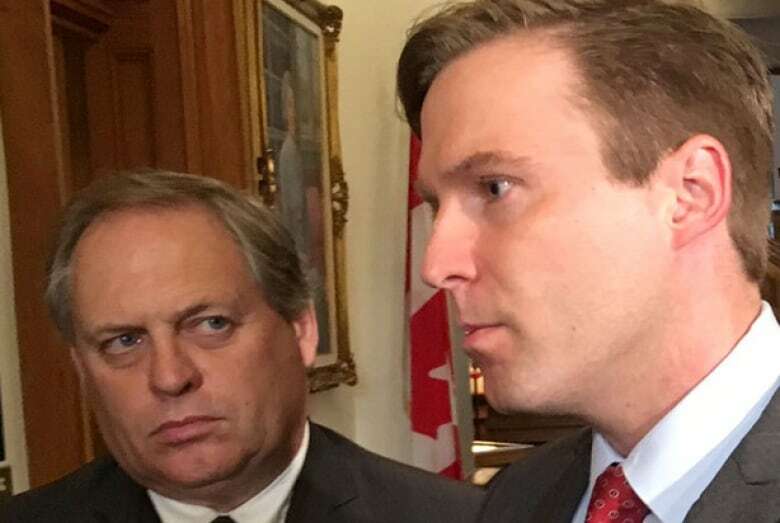 Liberal Leader Brian Gallant questioned the timing, given the PC party was in power. The retired provincial enforcement officer who laid the charges, Allen Goodine, later told CBC News they weren't politically motivated. But Goodine also said he got a phone call from a senior government official asking for details of the charges, including in which courthouse they were laid. The anonymous tip to reporters happened four days later. Ten days before the election, the charges against the three Harveys were dropped. Crown prosecutors said "a secondary review" had found the charges "didn't meet the threshold required to prosecute." Gallant suggested there should be an independent inquiry into what happened. But after the Liberals won the election he decided not to order one. Harvey said last year when Gallant appointed him as a cabinet minister that he was not interested in re-examining the matter. "I let the people speak," he said. "We presented our position, other parties represented their positions, there was a rough go in the middle, but we won. I moved forward from that point on, and the government has." Last week in Perth-Andover, Harvey would say only that 2018 is "definitely a little bit of a different campaign. I'll leave it at that."